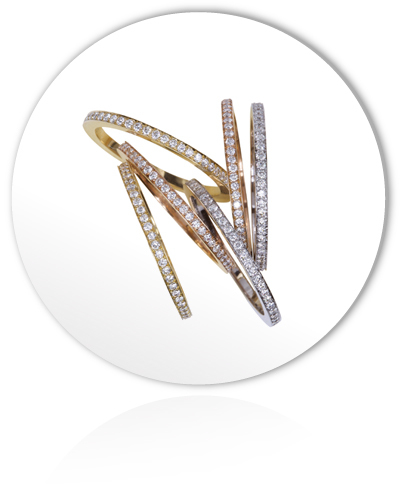 Micropavé delicate eternity diamond bands in three gold colours, to mix and match with a selection of solitaire rings in different diamond shapes. 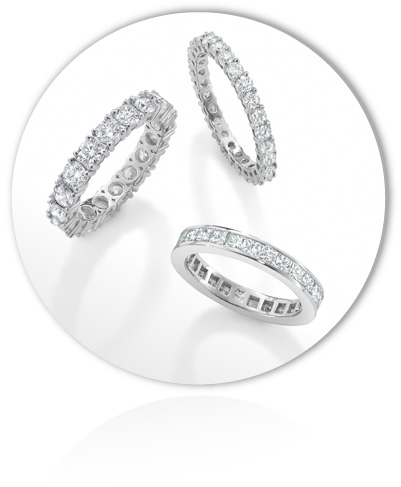 Stackables invite every woman to create her own personalized ring. 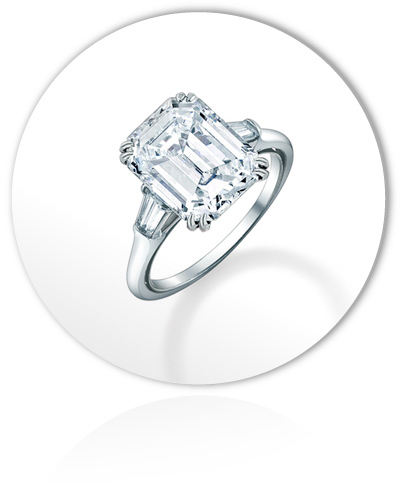 A perfectly pure emerald cut diamond (5.10cts D Colour), set in a timeless engagement ring. From the Bridal Collection or made-to-measure. From the Bridal Collection, or bespoke. Available from 1 to 3 carats. 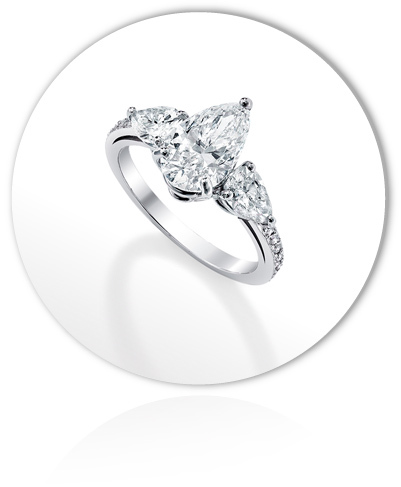 A flawless pear shaped diamond ring. From the Bridal Collection or bespoke. 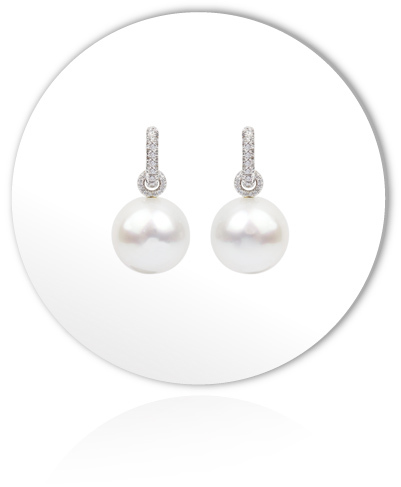 South sea pearls on a thin diamond ear-huging hoop. 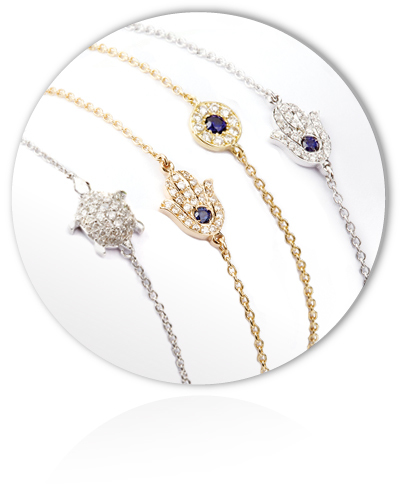 Mix and match charm bracelets with precious good luck charms.